When our car passed the firehouse, two firemen stood, saluting my hero’s procession as it passed by. At their feet was a fireman’s uniform, with two empty boots and an empty helmet, now waiting forever to be worn again. I had not known that my Grandpa Walter's funeral procession would pass this firehouse. I had been fighting back tears throughout the day, but the sight of those boots and helmet and the pride of knowing he was a hero to more people than his immediate family overcame me. The funeral procession continued to the cemetery, where we said our goodbyes, but my love and respect for my grandfather has never died. 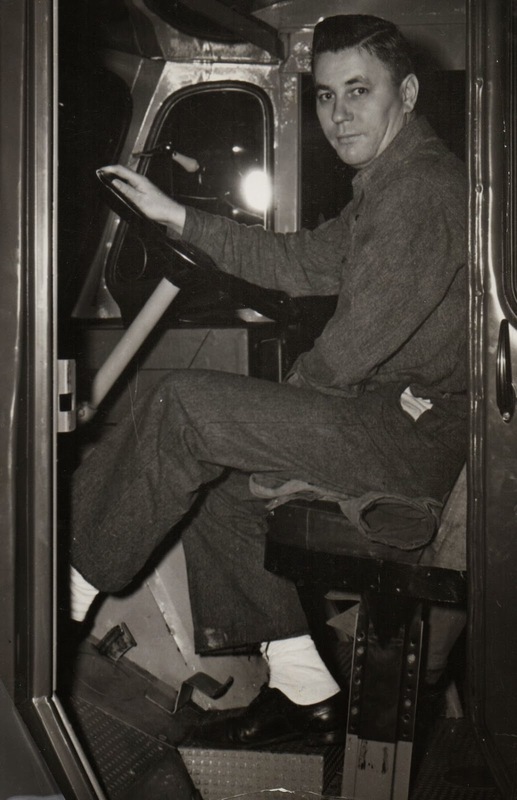 Having a grandpa who had been a fireman was extremely cool for me as a young boy. I remember his old firefighter helmets and gas mask hanging on the basement wall and how I used to pull them down to play with. As a kid, he was a hero to me for being a firefighter, but when I grew up, I understood he was a hero for many other reasons. 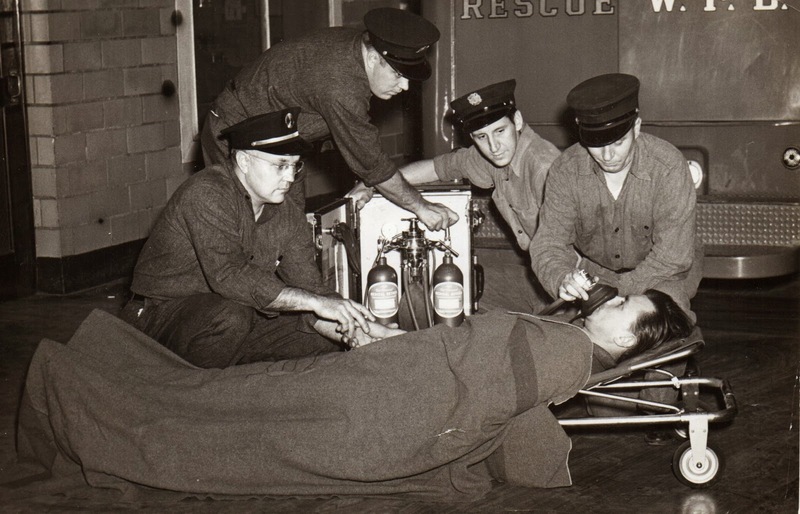 I do not remember my grandpa telling any stories about being a firefighter. 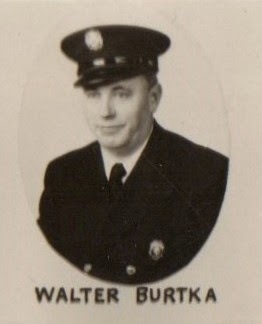 Despite serving the Wyandotte Fire Department for three decades, my grandpa was more interested in telling me stories about family, stories about him and grandma when they were younger and stories about my dad, aunts, and uncle. He embellished stories about his athletic endeavors, but he never once embellished stories about his work. My grandpa may have been willing to risk his life for others, but he lived for his family. At a family party a few years before my grandfather died, I overheard my dad say to my grandfather, "You know, Dad, there's a little bit of you in all these kids here." My dad may or may not have been talking only about DNA, but our grandpa gave us a lot more than DNA. In 1912, he was born in Wyandotte to recent Polish immigrants, and he never had the luxury of attending high school. When he reached adulthood, he worked in the old Stroh's brewery in Detroit before becoming a firefighter for the Wyandotte Fire Department. Despite his lack of a formal education, he was an intelligent man who knew that education would open doors for his four children. All four of his children went to college because of the sacrifices my grandparents made for them. Even with his grandchildren, he always asked how we were doing in school, and if one of my cousins was doing well in school, he told us proudly about that cousin's accomplishments. He did not do this to compare us with each other. Instead, I think he wanted us to be as proud of each other as he was. My grandfather left this earth with four children and eleven grandchildren who absolutely adored him. He was a good man, and he was a firefighter. He is still my hero. And today, when I see a fire truck pass by with lights and sirens, I often think of those men and women riding towards what might be an uncertain danger. Do they, like my grandfather, have children and spouses waiting at home for them? Do they receive the thanks that they deserve for choosing their profession? Children look up to firefighters because kids understand, more than many adults do, that helping others should be praised. My daughters love wearing the plastic firefighting hats that the firefighters who have visited their schools gave them. 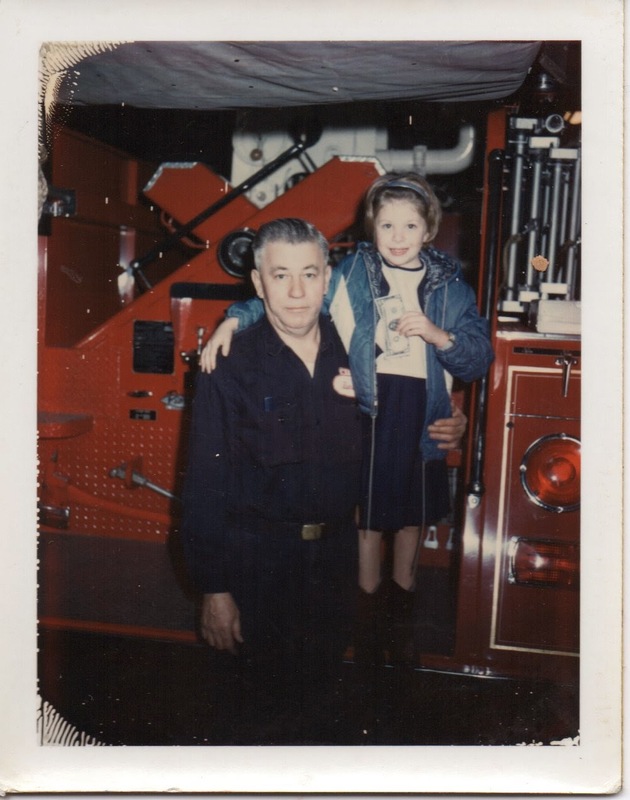 When I remind my six-year-old daughter that her great grandpa was a firefighter, she always beams with pride. I wish my children could have known him, but I will make sure they know about him, and they will proud of him for the family man he was, as well as the work he did. And they will be proud that there is a little bit of him in them too.